The opening preliminary session of the 2018 European Championships will be action packed with nine different events on the schedule. The women’s 400 IM, men’s 400 free, and both the men’s and women’s 400 free relays will have preliminary heats where the top-8 advance through to the first night of finals. The women’s 800 free will also be contested, with the top-8 advancing to the final which will take place on day 2. We’ll also see the women’s 50 free, men’s 50 back, women’s 100 fly, and men’s 100 breast where the top-16 will swim semi-finals in the evening. 2018 Commonwealth champion Aimee Willmott headlines heat 2 of the women’s 400 IM, with Ilaria Cusinato and Hannah Miley going at it in heat 2. Those three should easily advance to the final, and are projected to be the ones battling for position on the medal stand. The men’s 400 free is pretty loaded, with eleven swimmers entered at 3:47 or better. 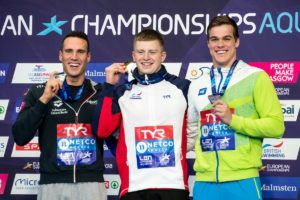 World Championship silver medalist in the 1500 Mykhailo Romanchuk of Ukraine will swim alongside the likes of Wojciech Wojdak (POL) and Henning Muehlleitner (GER) in the first circle-seeded heat, and Felix Auboeck (AUT) and Henrik Christiansen (NOR) lead the next heat. 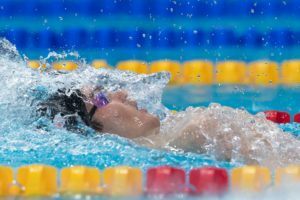 European men’s distance swimming is full of rising young stars, and this race should be close and exciting. Look for them to let it rip in the morning. 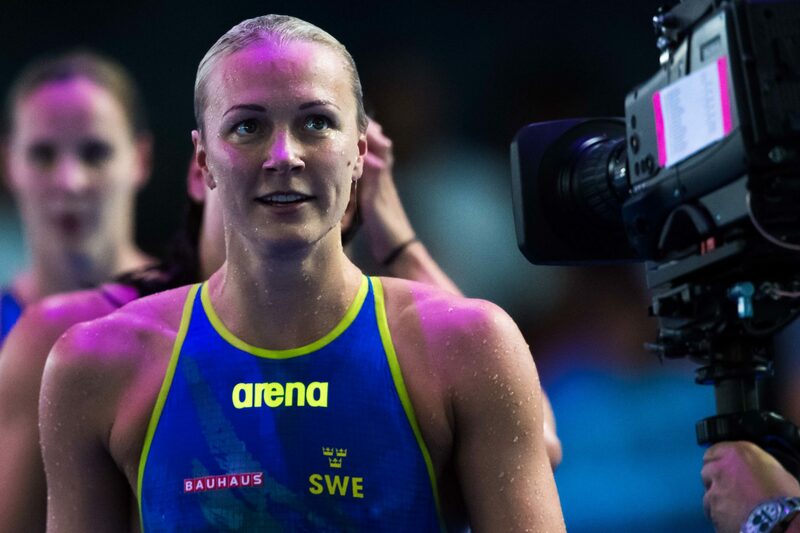 Sarah Sjostrom, Ranomi Kromowidjojo and Pernille Blume will get their feet wet with their first swim of the meet in the women’s 50 free, as will Vlad Morozov, Kliment Kolesnikov and Jérémy Stravius in the men’s 50 back. Sjostrom won’t have much time before she’s back in the water in the 100 fly, and Adam Peaty will give us a glimpse of his form in the men’s 100 breast. The 400 free relays will be interesting, seeing the contrast between the top teams leaving their top swimmers out to rest and if the weaker teams can capitalize and squeak into the final. Sjostrom could potentially swim a triple on the session in the women’s event, and if she doesn’t Sweden risks missing the final. In the women’s 800, Italian Simona Quadarella should cruise through the opening heat, and Sarah Kohler of Germany and Boglarka Kapas will likely set the pace in heat 2. Prelims get underway at 9:30 am local time in Glasgow, which is 4:30 am Eastern. Just out of curiosity, which meet is likely to be faster-this one or pan pacs? 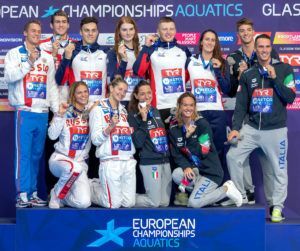 Italy will be a factor, beyond the various European nations you’ve cited: Cusinato in the Ims, Panziera in the backstroke, Quadarella in the long distances, Di Liddo and Bianchi in the fly, Castiglioni and Carraro in the breastroke…: strong women contingent northeless Pellegrini won’t be swimming the 200 free and Silvia Di Pietro is still recovering from her injury. Also on the men side various ups (not only the great Paltrinieri) northeless the absence of Detti and Martinenghi. 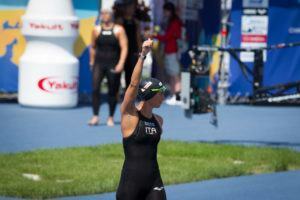 Depends on the race… 50 fly for example is all euros. This is rather obvious considering the fact that the event is not on the Pan Pac schedule. 200 free I am curious, might be closer than expected. 100 fly PP has Dressel, but Guy + Cseh + Milak + Kuimov might be a overall faster field, I would not be surpised if EC has more guys who can 50. 50/100 breast – Tie? PP by a little? Anyone have the link to the exact livestream? Thank you. Do you know if it will be on M4 or M1, 2, or 5? Think Peaty might crank out a 58 this morning to make a statement, seems hacked off in interviews about the loss to VdB at Commonwealths.